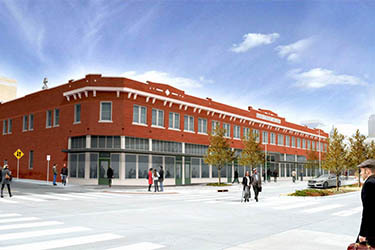 5/22/12: Application before the Downtown Design Review Committee to replace windows and storefronts; will be heard 6/21/12. R.D. and Scott Smith - Cosair Cattle Co. - own the building. That building was bought from the Baptist Church in 2009 by a local invetment/development firm called Corsair. Corsair owns a bunch of properties in the downtown and midtown areas. One can look at the Corsair track record the past 20 years and see two brothers who buy properties and let them sit for years, with no improvements, until they sell at much higher prices than for which they were bought (evidence: Packard Building on NW 10), or see a pair who have taken a chance on buying up risky old properties and have brought in cool new development (evidence: Ludevine in MidTown). Don't they also own the Elemental Coffee building? I know they recently started renovation on a small office building in Midtown. or see a pair who have taken a chance on buying up risky old properties and have brought in cool new development (evidence: Ludevine in MidTown). Also, our former office site, 228 2nd Street in Deep Deuce- now Sage and apartments. And owned the Plaza Court (now McNellie's, Irma's, YMCA) and the buildings on the NW corner of 13th and Robinson. While I know they hold onto buildings for a long time and don't seem to take on much of the development themselves, I also think it is encouraging that they rarely if ever seem to tear down good historic stock, and ultimately sell to people who do a good job renovating it. That building (Main Street Arcade) might be my favorite old building in downtown; certainly my favorite that hasn't been renovated. I have secretly dreamed for years of owning it. One of the few buildings in downtown that absolutely feels like the turn of the twentieth century. 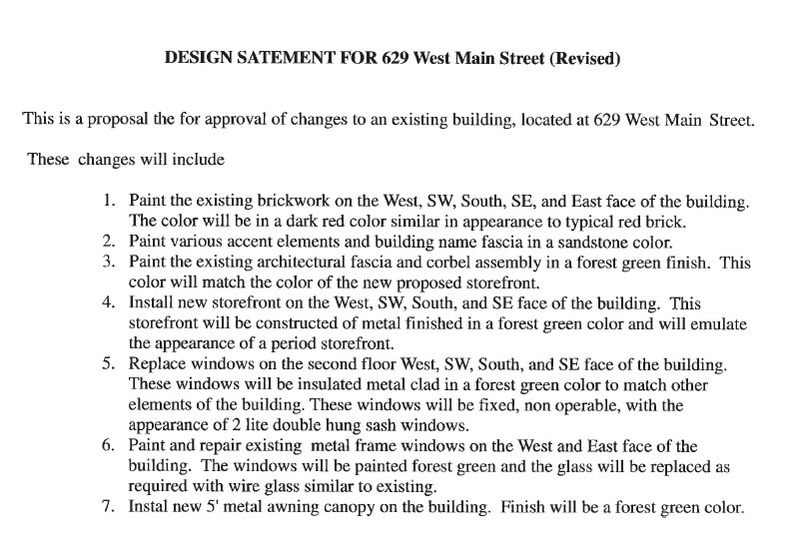 Maybe the new streetscape along Main will prompt someone to take it on, and to restore the historic retail window openings on the street level. New streetscapes seem to have a way of doing that. Well, we can rest assured either way that Corsair is not going to renovate this building. I've always thought that building had Plaza Court written all over it. It would make a smashing rehabilitation, and could use a bright neon sign on the roof (imagine how it would enhance the skyline view from the perspective further down Main). Wasn't this site also just identified as one of the potential parking garage locations? A couple of years ago I would have agreed with you. But with the other projects they've done more recently, maybe I was wrong. Truth be told, I've not made a good effort to meet the two, ask them about their thoughts and ideas. And that's my bad. I've always thought the exact same. they had the mcnellies deal done in principle before they sold to banta ...... and they also have owned the building just east of plaza court (fully leased) for about 20 years ..
Are you being cynical or do you know them? I didn't say it was their work; neither are the buildings on the NW corner of 13th and Rob. The point I was making is that they at one point OWNED the buildings (in some cases for extended and sometimes frustratingly inactive periods), but I'm not aware of any real penchant they have for tearing down old buildings. This bodes well for Main Street Arcade, in my opinion. I don't know if you can go so far as to credit them as being caretakers, but many if not most of those buildings would have been torn down without a second thought by many, or even most other owners. Now they are buildings that are restored or in the process of restoration. A few of the buildings formerly owned by them have become some of the more interesting and inspiring small-to-medium revitalization projects in downtown over the past decade. Those buildings all could have met much, much worse fates than being owned by Corsair. Here's some history on the origins and early uses of this building. The County Assessor's on-line records show a couple of images and indicates that this property was constructed in 1936 and contains 29,852 square feet. That construction date is wrong. 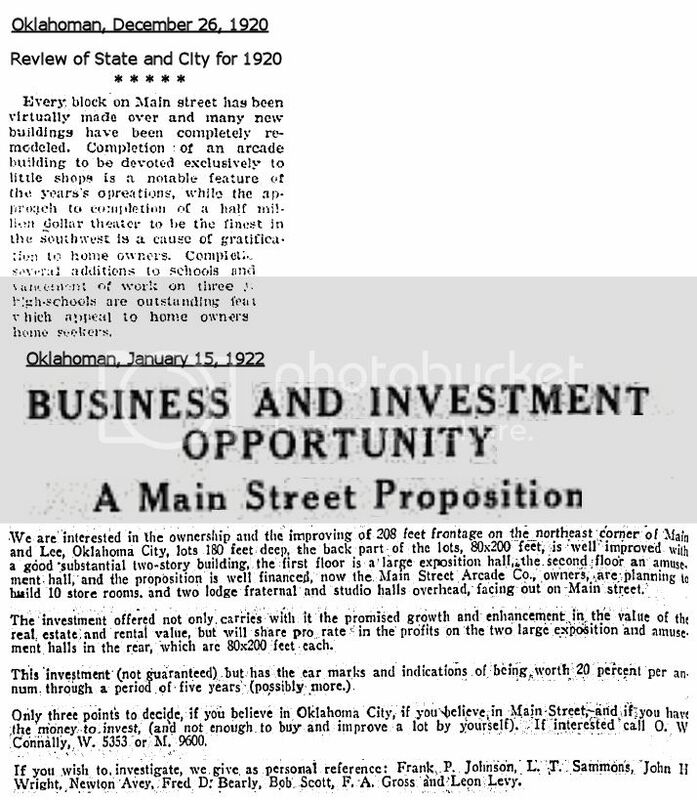 A 1920 Oklahoman article reflects that the property was built in 1920 for the exclusive use of "little shops". 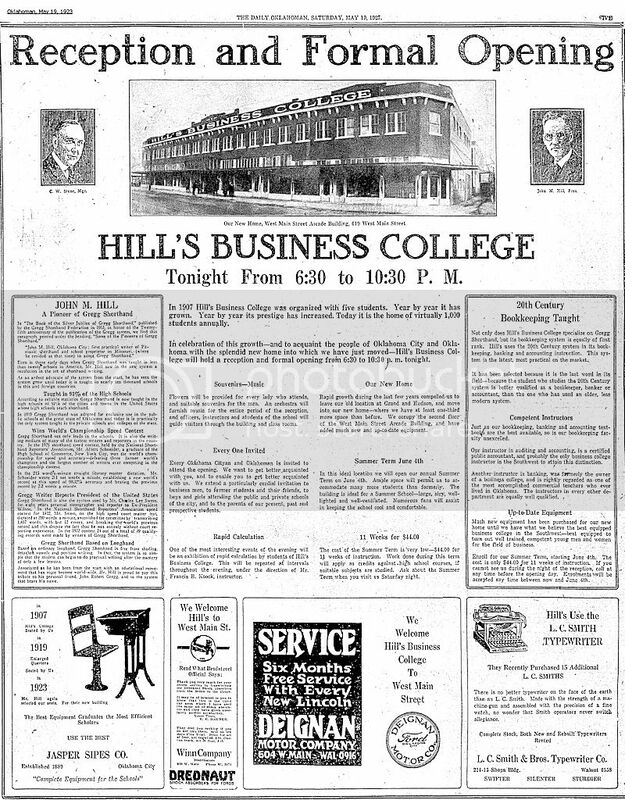 A 1922 Oklahoman advertisement/prospectus gives further description. A May 1923 full page ad shows that the 2nd floor of the property became occupied by Hills Business College. 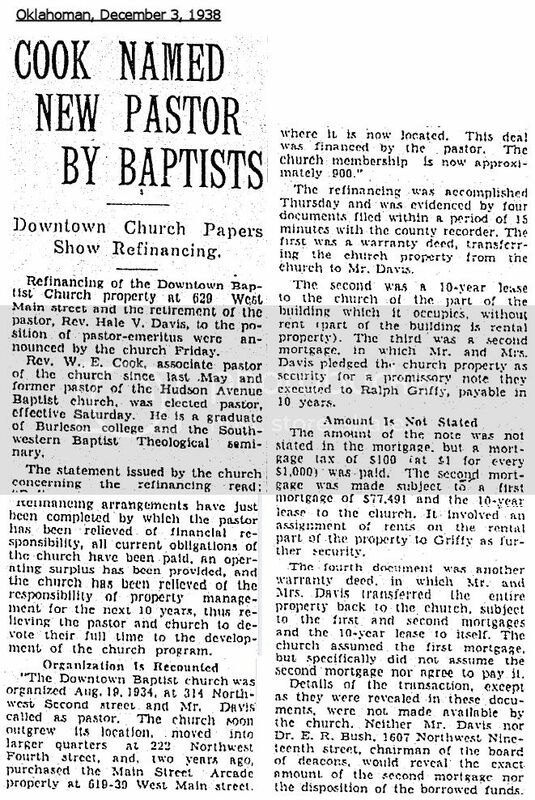 The property was acquired by the Downtown Baptist Church in 1934, and in 1938, and apparently for many years thereafter, the property was the home of the Downtown Baptist Church. That's as far as I went in my research. As it happens, Downtown was my wife's home church and Rev. Cook performed our marriage ceremony. Jo's grandfather was a long-time deacon there, and I've helped count the offering many a Sunday morning. I wasn't aware that the church had finally sold the building; we hadn't been active there since Cook's death, and many of the original members have either died or moved to the suburbs (as we did) and found the distance to downtown too far to drive. Last edited by Jim Kyle; 01-11-2012 at 09:05 AM. Reason: To add boxing ring and correct the floor. 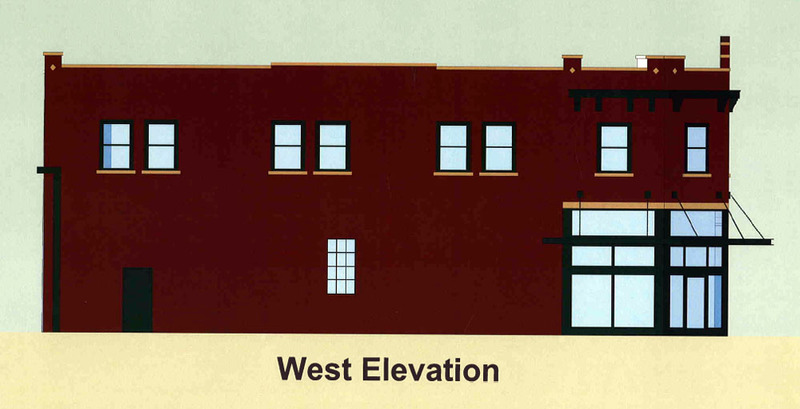 Great news: application before the Downtown Design Review Committee to replace all the windows and put new storefronts in this cool old building. I'm sure their plan is to market the property for lease and I bet they find some takers. Man, I wish I could do something there. That building has been one of my favorites downtown for years. A nice vibe going on over there these days with P180 and Film Row. You can see the Main Street Arcade from Joey's Pizzaria on Film Row. That whole area has such potential. Big plans to renovate this awesome building. Note the addition of all glass at ground level and also the restoration of the transom windows above the canopy. Can't wait to see what this looks like when finished -- it really is a gem on a very visible corner and an important link between Film Row and the Arts District. Very cool. I wonder if they have any plans for the second floor because residential would be very nice and would provide customers for all those new store fronts. Under intended use, their application states: "Commercial lease space". I don't think residential is part of the plan. BUT, residential is needed in that area and there are still tons of vacant building and lots. I'm sure we'll see some apartments soon. more recently, the Downtown Baptist Church. 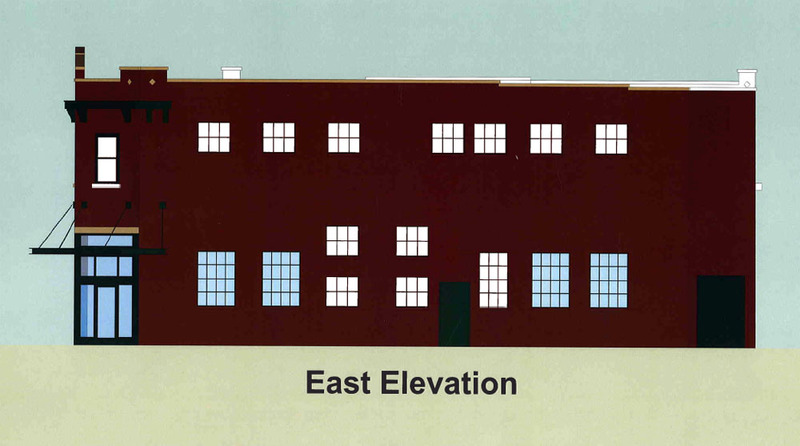 Phase 1 as a historic resource eligible to be included in a potential historic district." Concrete plant on Main Street?